Al Diar Mina hotel is an affordable property which fulfills all requirements for families, couples, singles and business holidays. The hotel's located in the heart of Abu Dhabi's business and leisure area, therefore close to popular tourist attractions, shopping districts and is a 10-minute drive to the beach. Guests will experience comfort and relaxation when staying in Al Diar Mina's hotel rooms, featuring quality beds, chic and contemporary décor and state-of-the-art amenities. 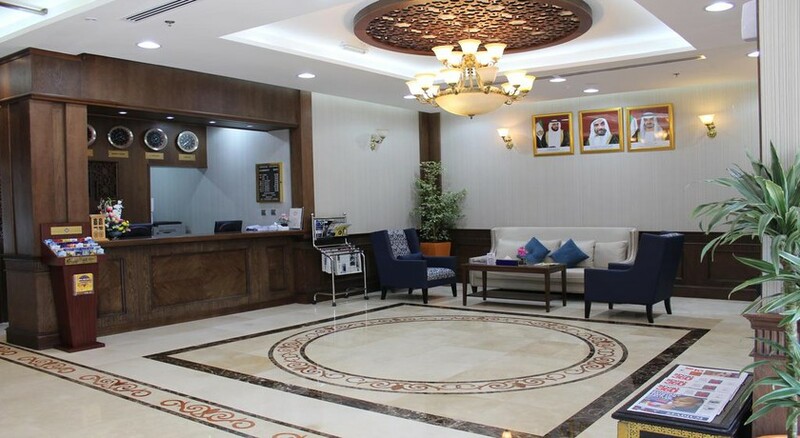 Catering to guests is the prime objective for the staff at Al Diar Mina hotel, which provides 24-hour round-the-clock service for those staying at the hotel. The hotel offers buffet dining options serving up International cuisine, plus lounges and cafes to socialise in. Outside of the resort, nearby attractions include the Abu Dhabi Mall, Yas Marina Circuit, Yas Aquaworld Water Park, Louvre Abu Dhabi and more. The Hotel is located at the center of the most happening hub of Abu Dhabi. The Heritage Park, famous for its views of the city and dotted with heritage buildings, is at a distance of 2.4km from the hotel. The Abu Dhabi Mall is home to over 200 shops and is 2km from the hotel. For guests wanting to soak up the sunshine, the nearest beach is the famous Corniche beach is 7.7km from the hotel. The nearest Airport is the Abu Dhabi International Airport, at a distance of 38km from Al Diar Mina Hotel. 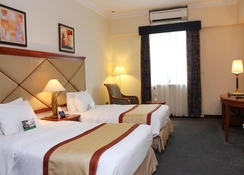 The hotel offers 87 guestrooms in total with the choice of accommodation available as Standard Single Rooms, Standard Double Rooms and Deluxe Suites. Single Rooms offer an area of 27sqm and are home to amenities like free Wi-Fi, safes, hairdryer, TV, direct telephone line, tea and coffee making facility and a kitchenette on request. 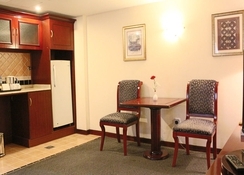 Double Rooms offer an area of 33sqm and the same amenities. Deluxe Suites offer the best of luxury and space with an area of 53sqm with separate living room, dining area, mini fridge. The hotel's main restaurant, Al Mina, serves continental buffets available for breakfast and lunch, while for dinner, food options are a la carte. Soak in the pristine ambience of Al Mina restaurant as you treat yourself to the choicest international delicacies. The restaurant is open from 6am until 2am. Or why not bask in the relaxing atmosphere at the Mina Café, serving tea, coffee and fresh pastries every day? Visitors of Al Diar Mina Hotel can explore the local attractions thanks to its position in the business and leisure district. Nearby attractions include Abu Dhabi Mall, Yas Marina Circuit, Yas Aquaworld Water Park, Louvre Abu Dhabi and more. Plus, the hotel offers a nightclub with a live DJ and alternatively karaoke nights at an additional charge. Guests can also venture out to a number of bars and pubs in the vicinity namely Tavern Pub, P J O'Reilly's Irish Pub, Captain’s arms and more.